The 72nd annual Tony Awards are being presented at New York City’s storied Radio City Music Hall on June 11 (8 a.m. Japan time), but that doesn’t mean those of us in Japan have to miss out. Wowow is rolling out its red carpet to none other than Yoshio Inoue, “Prince of the Musical World” here in Japan, as he takes on a new title of Wowow studio navigator. 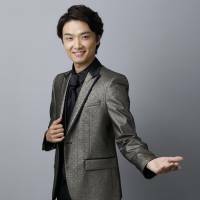 Inoue and fellow navigator Erika Ikuta will help guide Japanese audiences through Broadway’s showiest night of the year, as well as perform a medley of tunes from last year’s hit musical film “The Greatest Showman.” Special guest Masayuki Sakamoto will also be on hand to kick off the festivities. The Japan Times caught up with Inoue to find out more about his new gig. How did the “prince of the musical world” land a job as navigator at Wowow? I first started working with Wowow in 2014 as a “special supporter.” I sang a parody version of “Do You Hear the People Sing?” from “Les Miserables” and it was really well-received. Ever since then I’ve continued to work with Wowow, promoted from “special supporter” to “studio navigator,” and I feel like I’ve made progress, which makes me very happy. The staff and I have worked hard through trial and error to come up with new ideas, like showing special footage shot in New York during the opening. Ever since I became involved in the Tony Awards broadcast, I’ve become more interested in the awards and Broadway. Last year, I had the chance to share the stage with Matthew Morrison and Kelli O’Hara at the “Tony Awards Concert in Tokyo.” Although I’m mainly a professional singer and actor, I feel as though I’ve gained another role as a spokesperson for musicals and Broadway. Little by little, I’m becoming known to the people around me as the “Tony Awards guy,” and when I talk to my colleagues and mention I’m working on something, they ask me “Oh, is it the Tony Awards?” (laughs). It has all been a positive experience. What do you look forward to most in your role as studio navigator? The drama that comes with watching the show in real time and speculating who will go home with a prize — though my role isn’t to predict the winners. It has been a thrill every year, and that’s the beauty of a live broadcast. Also, depending on the hosts, the tone of the ceremony changes. I’m looking forward to seeing how this year’s hosts, Josh Groban and Sara Bareilles, will do. 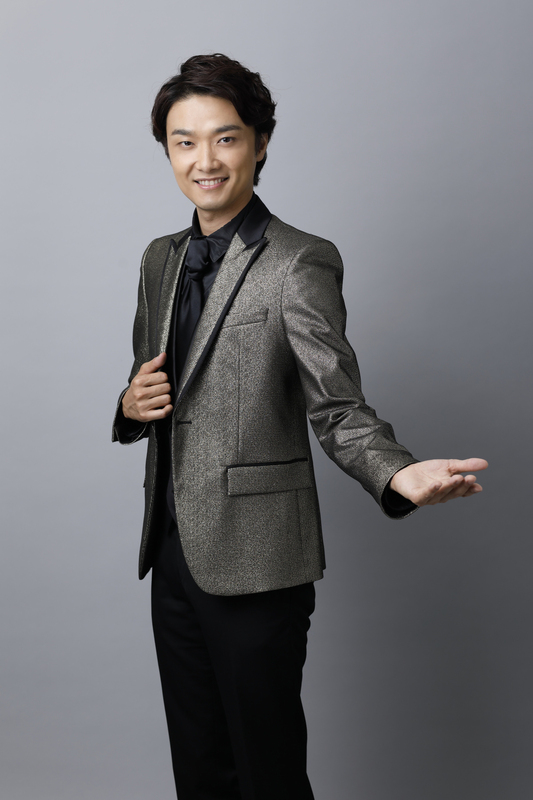 This year, director Amon Miyamoto will fill the role of Wowow’s Tony Awards ambassador. He’ll be on location to convey the excitement of the ceremony in real time. I’ve never attended the actual Tonys before, so I will be paying special attention to Miyamoto’s observations and reactions. In addition, although it isn’t included in the broadcast, I’m personally looking forward to hearing the latest Broadway gossip that theater journalist Yusei Kageyama dishes out — from when the cameras aren’t rolling. Which of the nominated musicals is your favorite, and why? This year, there seem to be a lot of productions that originated from films and novels, like “Frozen,” “Harry Potter and the Cursed Child” and “SpongeBob SquarePants,” and “Frozen” was very popular in Japan. I haven’t seen those shows yet but I’m interested in seeing how their stories have been adapted into musicals. I listened to the music from “SpongeBob SquarePants” and it’s really good. Personally, I’m paying close attention to “My Fair Lady,” even though it’s a revival, because I want to play the role of Professor Higgins someday. I’m intrigued by how these kinds of classic musicals are performed in this day and age. As for predicting which shows will win the award for best musical … hmmm, I’m saying this as someone who hasn’t seen the nominated shows but … I think “The Band’s Visit” will win. I’ve seen the film version and the story is good. I think the show’s global sensitivity and views on religion, as well as the complexity of performing it in America, will be highly regarded by Broadway. What appeals to you most about musicals? It’s all about the music. Of course, a good script is also a major factor, but the biggest difference between a play and a musical is the central role of the music. The reason Broadway is one of the biggest tourist destinations in the world is because even if you don’t understand the words, you can enjoy the music. What I have learned from performing in musicals is that I can listen to the music many times over and still be moved. I can repeat the experience. Many people who go to see musicals are regulars who have seen the show multiple times. In that sense, it allows those musicals to run for a long time. As someone who performs in musicals, I will say that the power of music is so strong and striking that you actually have to be careful not to depend on the music too much. I don’t know who was the first to include music in a play but I think the invention of musicals is amazing. Wowow will air a Tony Awards special on Sunday, June 10, from 3:30 p.m. and a live broadcast of the 72nd annual Tony Awards ceremony on Monday, June 11, from 8 a.m. For more information, visit www.wowow.co.jp/stage/tony.